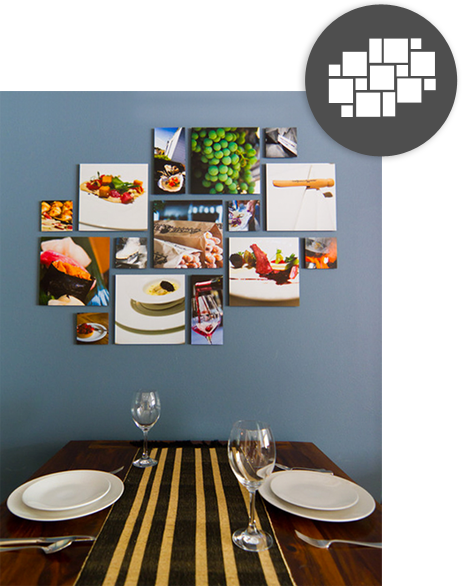 Beautiful real life wall collages for your home or office. 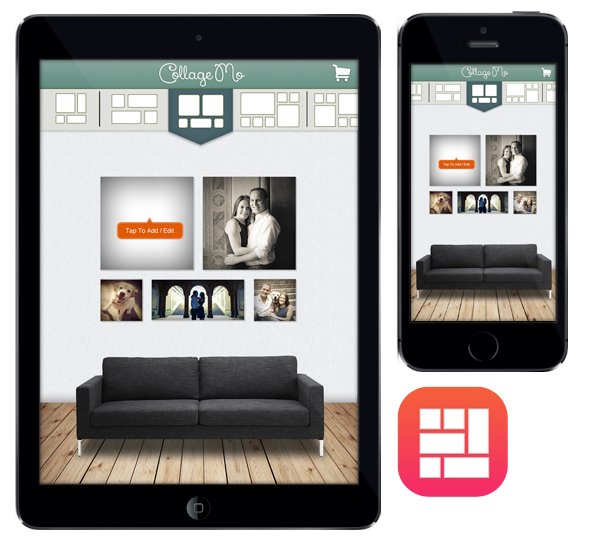 Create beautiful wall collages with ease using the CollageMo iPad and iPhone apps. You can pull in photos from your phone, Facebook, & Instagram. Prices start at just $15.99 for single panels, and $63.99 for collages. Get 25% off your 1st order using code "LAUNCH" at checkout! We have tons of premade templates ready for you inside our app. They range from 4 simple panels, to complex 15 panel arrangements that will wow anyone that walks into your house. You can even order collages and rearrange the panels yourself! From kitchens to bedrooms, to hallways and staircases. Collages can spice up any room of the house. 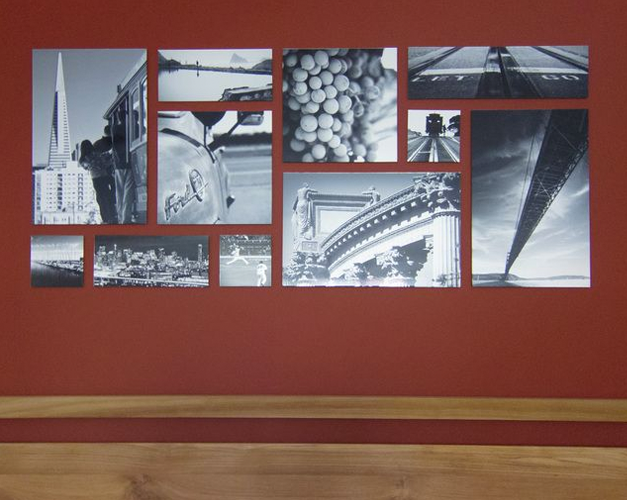 Whether it's photos of your family, or from your trip to Napa Valley, CollageMo can help you create a wonderful wall piece that will spice up your walls with style. 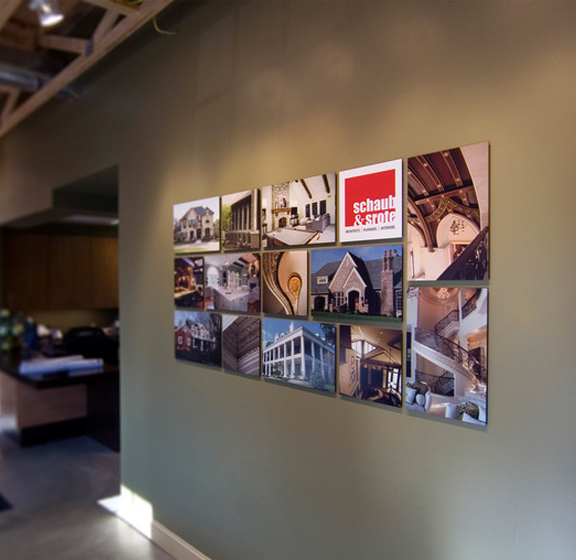 Put a wall collage up in the reception area of your office and you'll have people asking who your interior decorator was. It's so easy to install, and prices start at just $50! 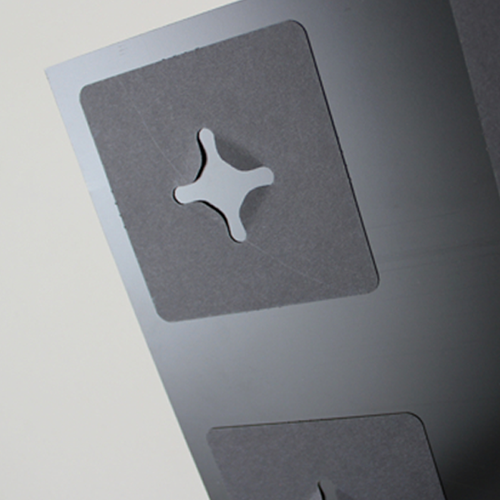 Every panel comes ready with the unqie hanging system that makes it super simple to install. It's easy enough to be a fun project for your kids! 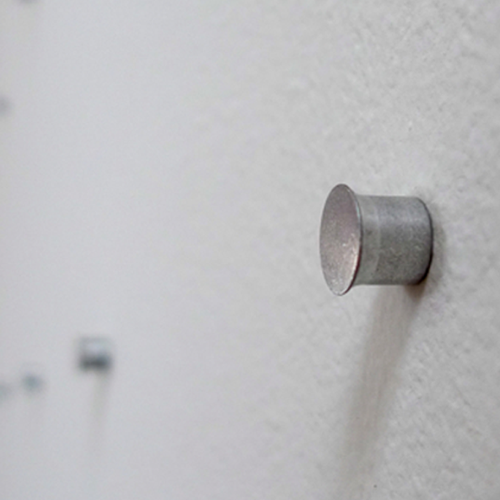 The attractive push-in pegs, machined from solid aluminum, have a satin finish and securely hold each panel in their place. 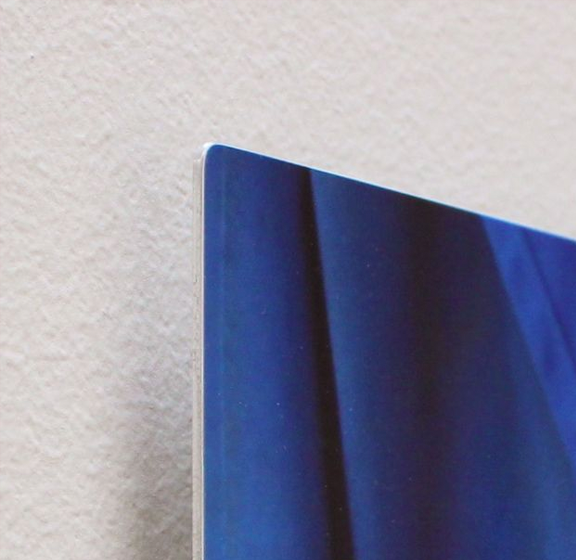 These gorgeous hardboard photographic prints sit 1/4" off the wall leaving a soft shaddown on the wall around the edges. Your guest will think you had a professional come in to install your collage. We use the Collagewall hanging system. U.S. Patent No. 8,333,026. "Collagewall" is a registered trademark of Collagewall Inc.